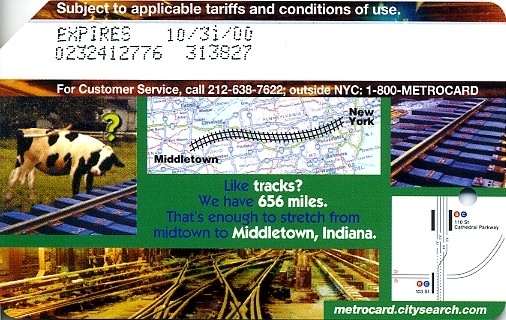 EAB branch in the Bronx sponsored this metrocard with circulation of 100,000. 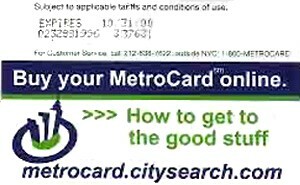 Location of the branch was at Southern Blvd and 172nd street. 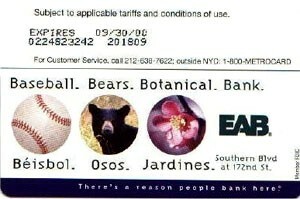 Card has 3 images of baseball, bear and flower and is in English and Spanish. Those pictures are description of the Bronx as a home of Yankees baseball team, Bronx Zoo and New York Botanical Garden. This bank does not exist any more. 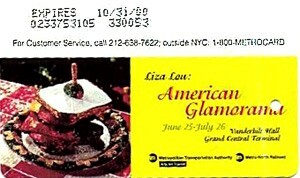 Liza Lou American Glamorama was an exhibition from June 25 – July 26 1999 at Vanderbilt Hall at Grand Central Station. 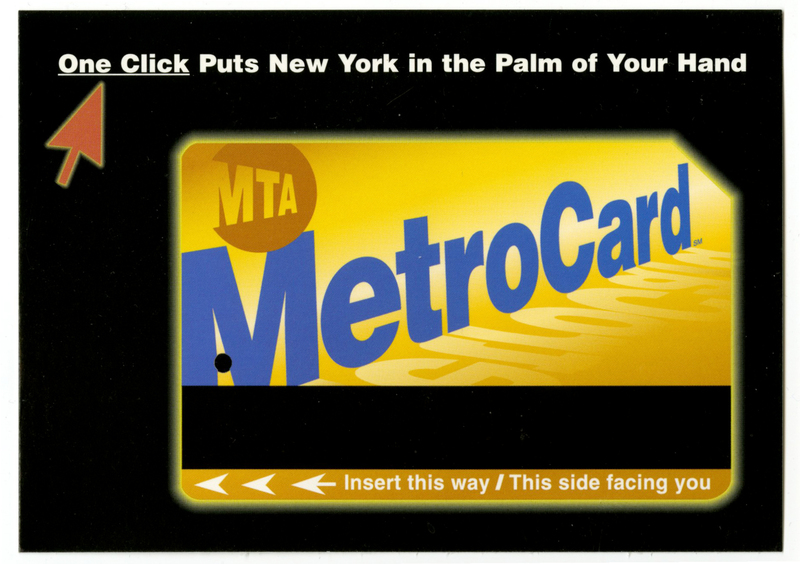 Metrocard was sponsored by MTA and has very small circulation of 10,000. There was an article in New York Times about that exhibition. 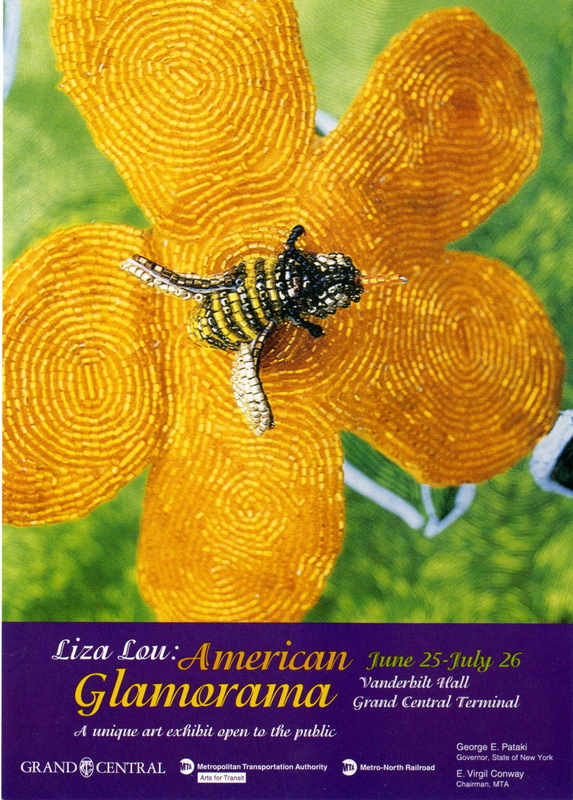 A postcard was available at the exhibition. 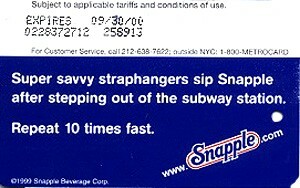 Snapple beverage set contains of 3 metrocards. 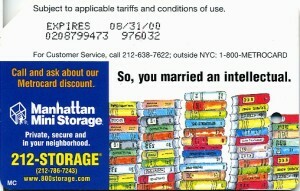 Each has been sold separately and has different circulation. 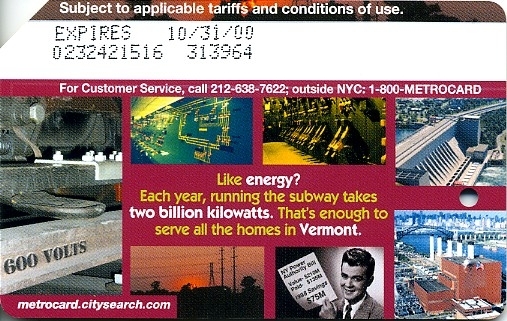 The first card has circulation of 200,000. 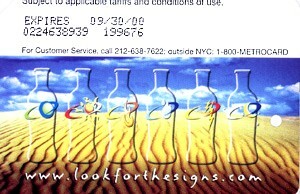 The last 2 have links to www.lookforthesigns.com and have circulation of 500,000. 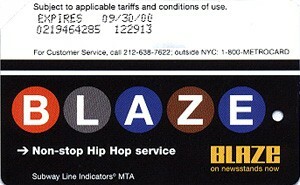 This card advertises BLAZE magazine, magazine about Hip Hop music and culture. 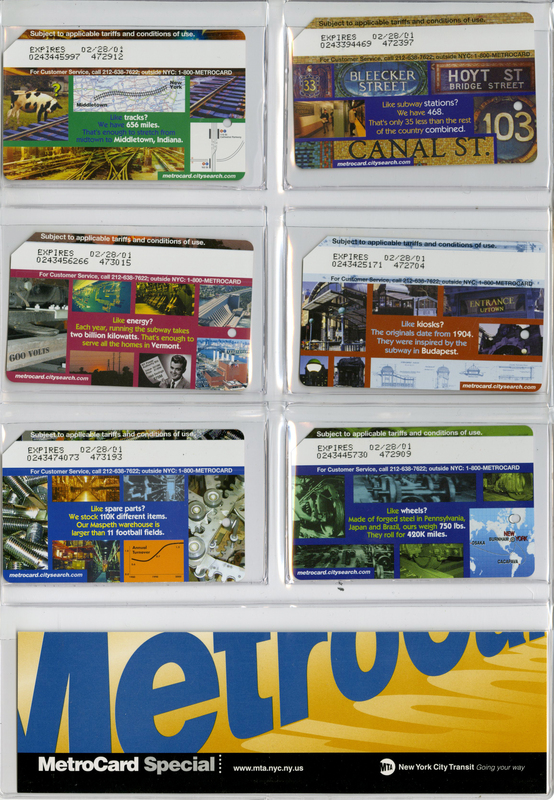 It has nice design showing each letter in magazine title in colours of relevant subway line. 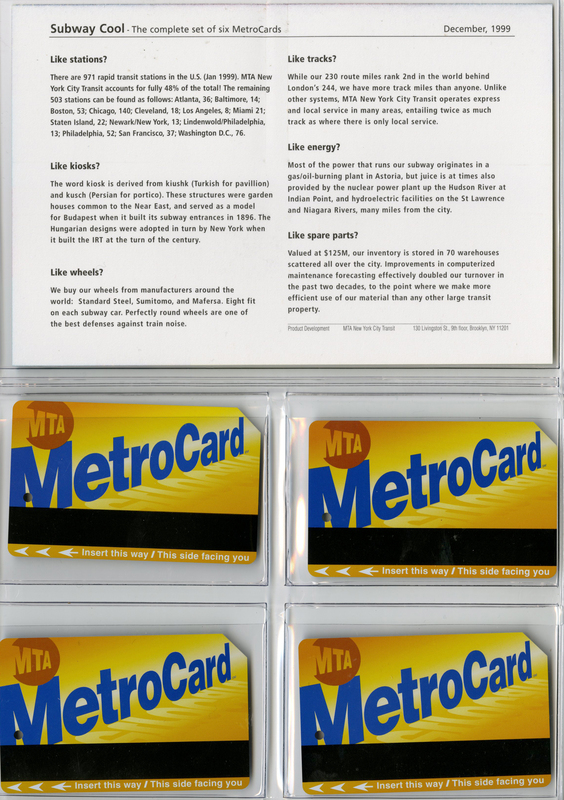 Subway cool set has been made of 6 metrocards featuring interesting facts and images about NYC subway system. All cards were initially sold separately. 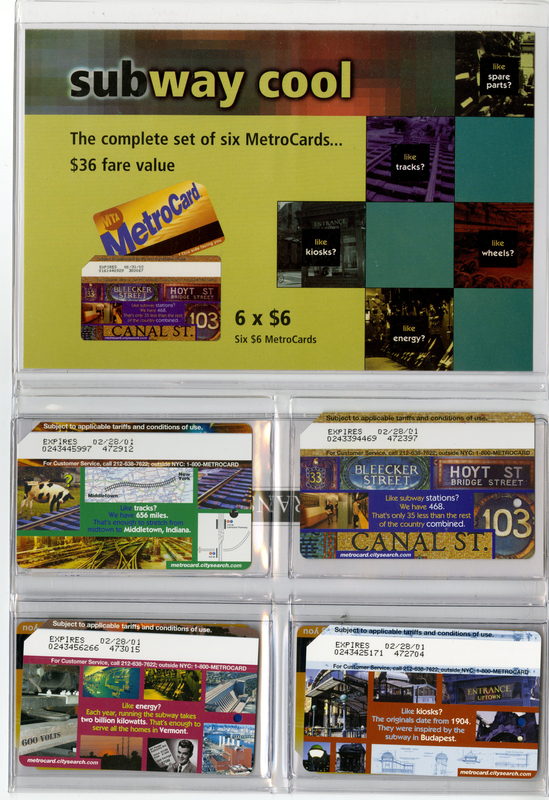 In the end MTA issued collectors set in plastic folder with all 6 cards in it and each card encoded with $6 to ride 4 times (at the time price of a ride was $1.5). 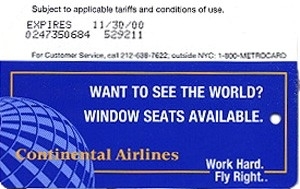 Here are images of that set: 1, 2, and 3. 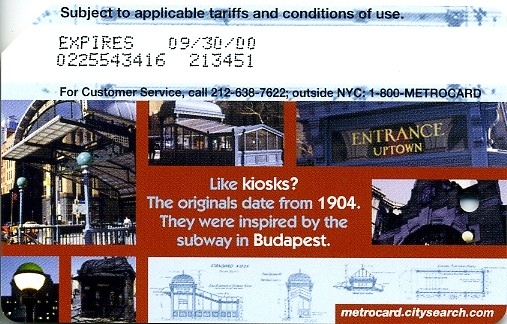 All cards had circulation of 50,000. 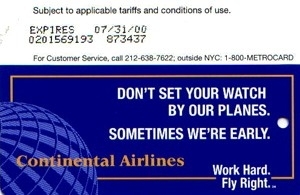 Number of sets issued for collectors is unknown. 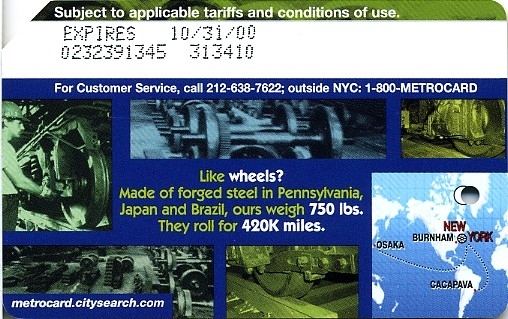 Each card has many images on it and each displayed stats in the center of the card. 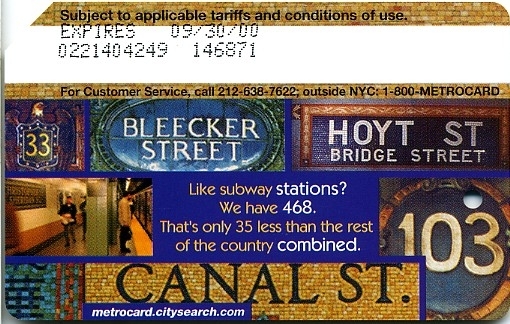 Set has been sponsored by citysearch.com which at the time was selling metrocards on its website. 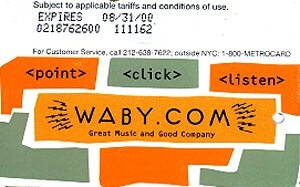 This metrocard shows promotion of web site Waby.com another victim of Internet bust. 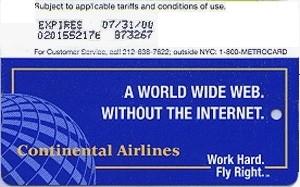 This site does not exist any more. Circulation is 100,000. 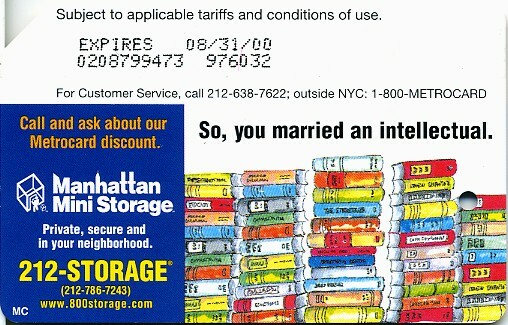 Manhattan Mini Storage metrocard had circulation of 175,000 and similar in design to many ads of this company appearing in the city at the time with piles of books and a slogan: So, you married an intellectual. 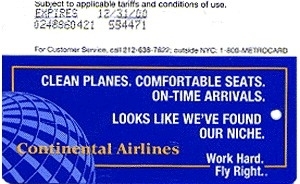 Continental airlines sponsored all together 12 metrocards over the span of 3 years. 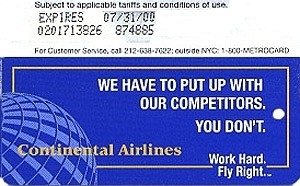 All cards have dark blue background with stylized globe on the left and golden coloured name of the company: Continental Airlines. 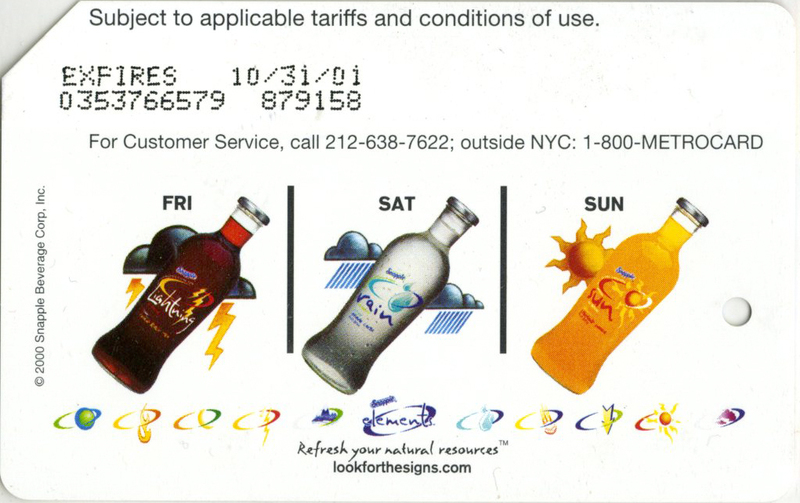 Each card has been sold separately and has many different expiration dates. 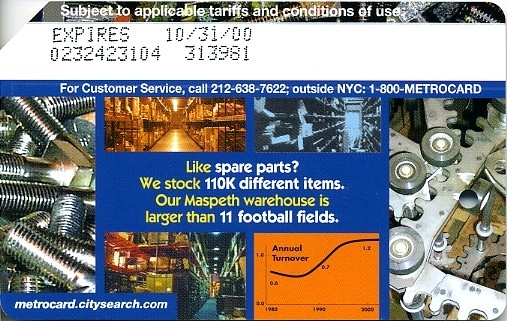 All cards in 1999 had circulation of 100,000. 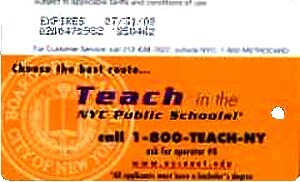 Teach in the NYC Public Schools metrocard was sponsored by Board of Education of city of New York and had circulation of 240,000.